The GeForce RTX 2080 is a high-end graphics card from NVIDIA based on the Turing architecture and 12nm process technology set for release in 2018. I’d be remiss if I did not mention that some of this information is preliminary and subject to change as more information is revealed and/or existing information is confirmed or debunked. This page will be kept up to date with the latest information available at any given time. According to the latest leaks, rumors and information provided to wccftech the GeForce RTX 2080 is powered by a 104 class GPU, codenamed GT104. The GPU measures around ~400mm², features 3072 CUDA cores, a 256-bit GDDR6 memory interface and 8 to 16 gigabytes of 14Gbps GDDR6 memory. The graphics card is expected to have a core clock of around ~1.8GHz and a boost clock of around ~2GHz. The TDP of this graphics card is unconfirmed to date, but is expected to be somewhere between 170-200W. Peak FP32 compute performance is expected to be around 12.2 TFLOPS, depending on how high of a clock speed the graphics card will be able to hit and how often. This puts in the same league of the existing GeForce GTX Titan Xp and GTX 1080 Ti. So you can expect around GTX Titan Xp performance or slightly better, but at significantly lower power consumption. Pricing and the release date are the most fluid parts of a product launch, so this could definitely change. 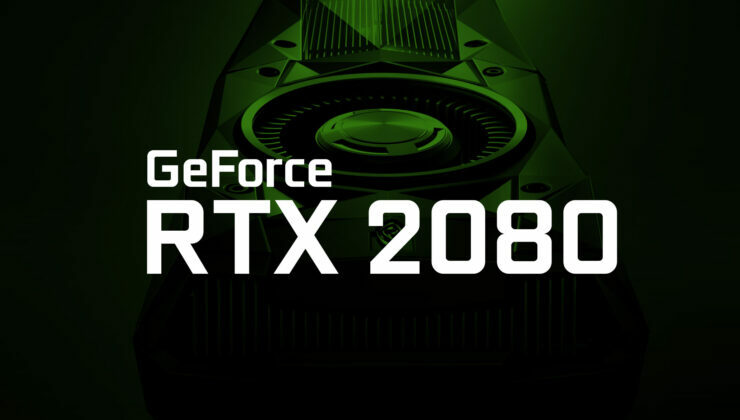 But, you can expect the GeForce RTX 2080 to be released in the summer. Current leaks and rumors point to a debut around the month of August. [updated] Latest leaks & rumors indicate a launch date at Gamescom in late August, between the 21st and the 25th. In terms of pricing, whispers say that NVIDIA is looking to charge more for the RTX 2080 as compared to the GTX 1080, with some sources quoted as saying to expect a price tag of around $699.